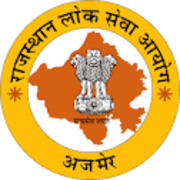 RPSC Recruitment 2018 - Apply Online for 8162 Sr Teacher Posts (Non-TSP) in Department of Secondary Education, Rajasthan. Online Applications are invited by Rajasthan Public Service Commission from 10 May 2018 to 09 Jun 2018 till 11:59 PM for 8162 vacancies. 18 years to 40 years, Age as on 01 Jan 2019. 05 years for SC/ ST/ OBC (Rajasthan Domicile) candidates. 10 years for SC/ ST/ OBC (Rajasthan Domicile) female candidates. 10 years for Gen (PH) Candidates. 15 years for SC/ ST (PH) Candidates. Eligible candidates may apply online at RPSC's website (direct link is given below) from 10th May 2018 to 09th Jun 2018 till 12 Night.